Legal Action Over Non-Payment of HOA Fees | DeLoach, Hofstra & Cavonis, P.A. What are the legal remedies if a resident doesn't pay housing association fees? All members of a community association are responsible for paying dues and assessments in a timely manner. While Florida law allows a homeowners’ association to take action against a resident who falls behind on payments, there are specific procedures that must be followed—and failure to follow the law can place the association at risk of a lawsuit. Homeowners’ associations (HOAs) often outline the procedures that can be taken against a homeowner in its governing documents, such as suspension of rights or the filing of a lien. However, the governing documents are only enforceable if they're in compliance with state HOA statutes. Give notice to a delinquent owner. 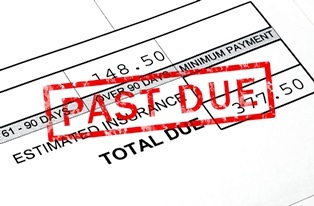 The HOA board must issue a demand letter stating the amount of the outstanding debt and the steps taken if the debt isn't paid. Potential penalties include late fees; suspension of voting rights in HOA meetings; and suspension of use of common areas, such as tennis courts or pools. Notify the homeowner before filing a lien. If the homeowner fails to resolve the debt after a demand letter is issued, the HOA may consider filing a lien against the home. Before a lien can be filed, Florida law requires the HOA to provide a homeowner with a written demand for the outstanding amount and permit him or her 45 days to pay the amount in full. Florida law also dictates the charges allowed in an assessments lien, including past due assessments, administrative late fees (up to $25 or five percent of the amount of each installment that is past due), interest on unpaid assessments, and attorney’s fees. Notify the homeowner of intent to foreclose. If the matter isn't resolved, the HOA may file a lawsuit to foreclose on the home to collect the assessments. The HOA cannot initiate a foreclosure unless it notified the homeowner with intent to foreclose and allowed 45 days after the notice to settle the debt. Inform owner of violations. Our firm assists with corrective action for homeowners in arrears, ensuring that notifications were issued in compliance with state laws and governing documents. We can also perform collection services for our association clients regarding past-due accounts. Tenant collections. If a homeowner rented out the property to a tenant, we enforce delinquent tenant procedures outlined in the governing documents. Negotiate between the parties. A homeowner may refuse to pay assessments for a number of reasons, from insufficient funds to the unfair levying of fines. Our attorneys perform mediation and arbitration services, including negotiating an amount for a qualifying offer to satisfy the debt. Represent the HOA. If the homeowner doesn't comply with the terms of the qualifying offer or an agreement cannot be reached, the HOA’s foreclosure action may proceed to court. We represent the association in foreclosure litigation and work to remove the owner’s right of possession to the property. Prevent future disputes. In many cases, an HOA can avoid costly collection and litigation costs by strengthening its governing documents. Our attorneys examine existing governing documents and bylaws; rewrite vague language or outdated information; ensure that declarations and collection procedures are compliant with Florida law; and advise association directors on available enforcement options. Our attorneys have over 30 years of experience representing homeowners and their associations through all aspects of their business operations. Whether you need help creating the governing documents of your HOA, or the association is in the middle of a dispute with a member, our experienced real estate attorneys can answer your questions and advise you of your legal options. Simply fill out the quick contact form on this page to set up a consultation. Why Would a Community Association Need a Lawyer?